Delicious straight from the refrigerator or warm before topping with the yogurt cream. Soaking the oats in milk overnight yields a creamy texture while the peaches add a burst of sweetness. 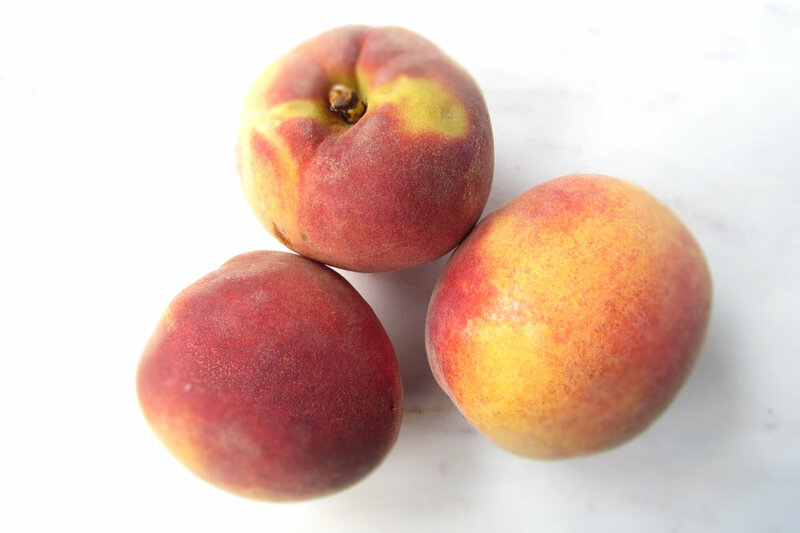 Use fresh in-season peaches or even canned (packed in juice) or frozen peaches. Lightly sweetened Greek yogurt tops the oats along with crunchy almonds. Combine the oats and milk together in a container with a lid. Add the chopped peach, maple syrup, cinnamon and almond extract and stir gently to combine. Cover container with lid and refrigerate overnight or at least 8 hours. In a small dish stir together the Greek yogurt, maple syrup and cinnamon. Portion the oat mixture between two bowls or containers and top with the yogurt cream and sliced almonds (if desired). To warm mixture: place the oat mixture into a microwave safe bowl and cook on High for 1 – 1 ½ minutes, until warmed. Add more milk as desired. Top with yogurt cream and sliced almonds.